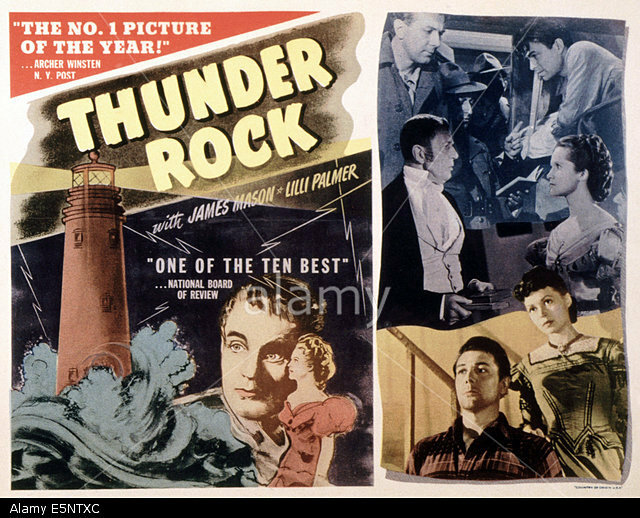 John and Roy Boulting, born on 21 Dec 1913, first made their name in the 40s, with films such as Thunder Rock (1942) and Fame is the Spur (1947), but their most famous film rermains Brighton Rock, made in 1947 and featuring Richard Attenborough in the iconic role of Pinkie. 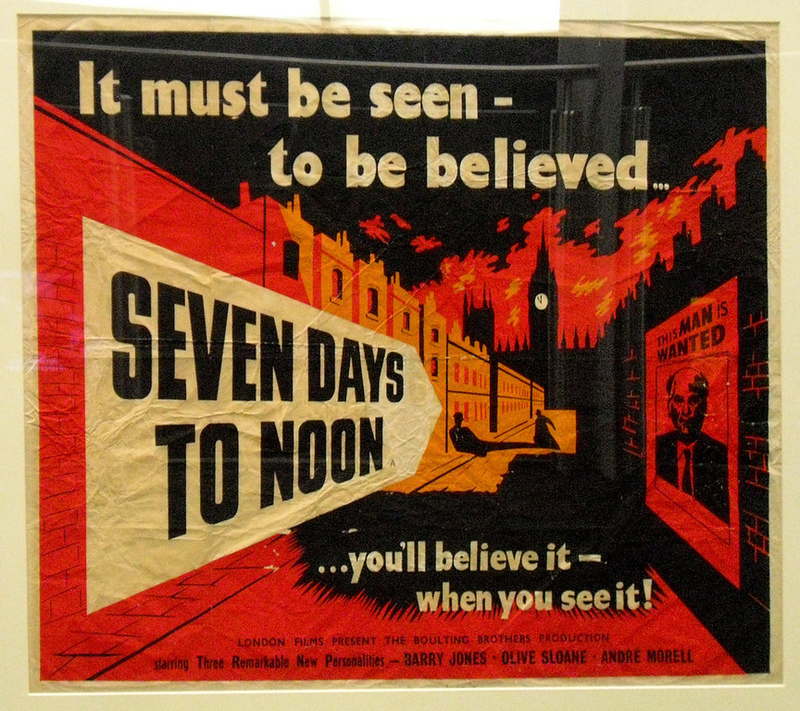 However, although this remains their best known single film, their name came to be associated with a string of comedies from the mid-1950s onwards, mainly satirical in nature, which looked at institutions such as the army, the law and industrial relations using a pool of unrivalled comic talent wtih the likes of Ian Carmichael, Peter Sellers, Terry-Thomas, Dennis Price, Richard Attenborough, Miles Malleson, Victor Maddern, John Le Mesurier, Kenneth Griffiths, Thorley Walters....the list is almost endless. As is natural with comedy, the characters were often cariactures, but in many instances not only did the actors portray a type, they often created that type from scratch; when you think of a pompous union official, you need look no further than Peter Sellers' Fred Kite in I'm All Right Jack, if you have in mind a bumbling, accident-prone innocent then Ian Carmichael springs to mind, and Terry-Thomas is, well, just Terry-Thomas. The pattern was set with the release in February 1956 of Private's Progress, the cautionary tale of naive and unwordly undergraduate Stanley Windrush (Ian Carmichael), who is called up during the Second World War and thrown into a world he knows little about. His tutor at university can't even remember his name, his father (Miles Malleson) is, as always, a dithering old duffer, and the eagerness with which his fellow student Egan (Peter Jones) approaches the task in hand is in sharp contrast to his own apprehensiveness, and a promise to keep an eye out for him in the army from his uncle Bertram Tracepurcel (Dennis Price) is of litle comfort. Army life was very familiar to a great majority of the British public at the time, and was always a subject guaranteed to get plenty of laughs, and Carmichael provides them as he encounters William Hartnell as an an army Sgt (a role he was to reprise a year later in the first Carry On film) and goes on to becomesa one-man disaster area, culminating in him single-handedlly destroying an obstacle course. He manages to of course to achieve the unthinkable - fail the officers' course - and there are few better to deliver the verdict with an air of studied disdain than John Le Mesurier. There are a number of hilarious scenes at the camp, including a talk from Private Cox (Attenborough) to his fellow soldiers on the subject of 'transport', which turns out to be a guide to how to scam the railways and travel without buying a ticket, whilst Brigadier Tracepurcel and Egan, amongst others, are engaged in setting up Operation Hatrack, a plan to steal priceless art works from under the noses of the Germans for their own private profit. 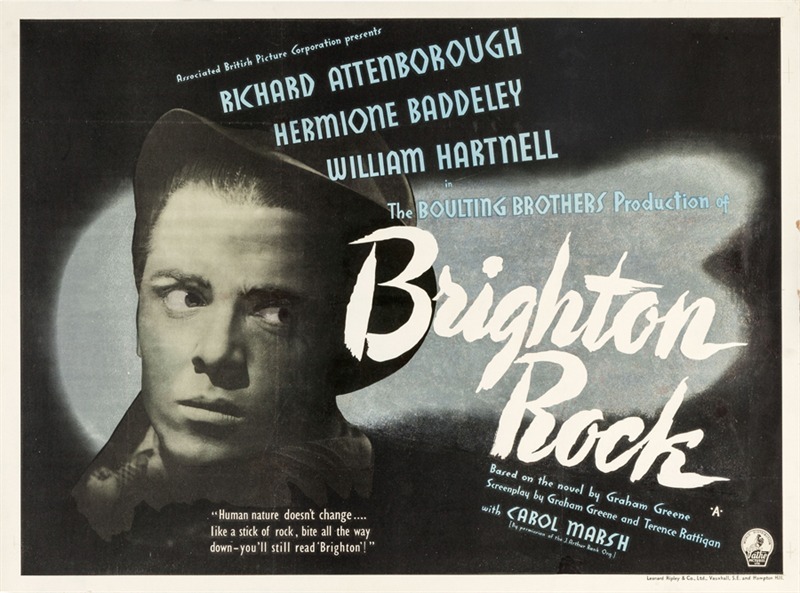 After Major Hitchcock catches most of his regiment at the cinema (conveniently ignoring the fact that he also skived off there to watch the film) his attitude to them changes, calling them, famously, a "shower" (pronounced 'shah', as in Shah of Iran) and Windrush himself "an absolute rotter". "To all those who got away with it, this film is most respectfully dedicated"
Ian Carmichael returned, again opposite Attenborough, the following year in the Boulting Brothers' Brothers in Law, a gentler film which barely qualifies as satire, but which is consistently amusing without ever reaching the heights of Private's Progress. Carmichael plays Roger Thursby, the nephew of a famous barrister, who when the film opens has just graduated, but he makes such a hash of receiving his degree that we know we are firmly back in 'an innocent abroad' territory. 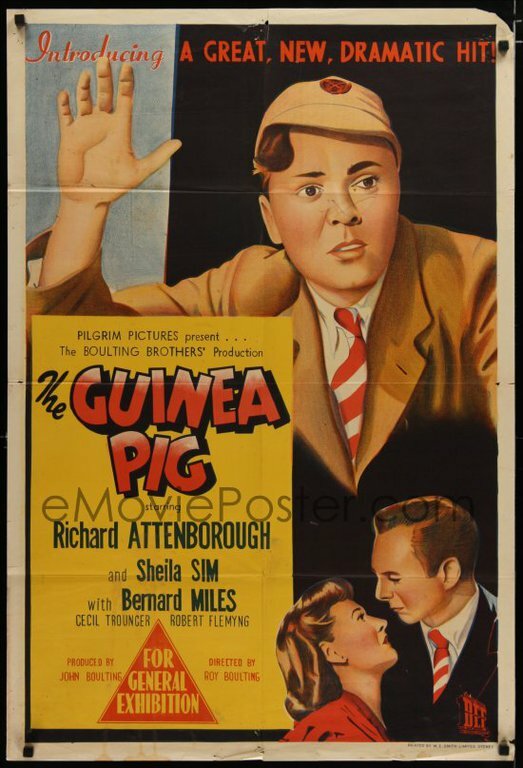 Miles Malleson misses out on playing his father again, but is instead a father figure in the form of Kendall Grimes, head of a law firm persuaded to take Thursby on as a pupil, which is where he meets Attenborough's character Henry Marshall, also a pupil at Grimes' law firm. The difference here is that Marshall, unlike Cox, is a totally benign character, and it is this lack of edge that means the film misses out on the previous film's heights. Having won a case, the tide starts to turn, and when Thursby returns to his home town for the Assizes and gets a case by chance, he manages to win the favour of the old judge (Kynaston Reeves) when he is forced to point out that his mother is on the jury and then proves himself when cross-examining George Rose and unexpectedly wins the case from Raymond Huntley, with a little help from his solicitor, one John Schlesinger (before he gave up on the acting game and became a director). The romantic interest is provided by Jill Adams (who had also appeared in Private's Progress, but is best remembered by me for her role in The Green Man) but as with most comedies of this nature, and indeed time period, this is mainly a distraction from the comedy and Nicholas Parsons as her (eventually) successful suitor hardly registers. The film perhaps ends too well, with Jill Adams riding off into the sunset with Parsons, but wtih Thursby and Marshall gratified to see two attractive young women arrive in a taxi to take her room upstairs. Next up for the brothers was Lucky Jim, an adaptation of the Kingsley Amis novel (and I've still not read any of Amis' work), presumably made at about the same time as Brothers in Law as it was released only 6 months later the same year. Possibly because it was an adaptation of a well-known novel it has a rather different feel to the other films; to be honest it's not a film I've ever much cared for, perhaps because Carmichael's character, Jim Dixon, is the one doing the canniving rather than having events going on around him beyond his control. However, again there are a number of comedy actors, including Hugh Griffith, Kenneth Griffith and Terry-Thomas again, but it is not a film I particularly choose to watch. After one or two fillers - the brothers were very busy at this time - and the moderate Carlton-Browne of the F.O., the brothers' next film hit the jackpot. I'm all right Jack takes aim at a number of targets and hits them all; it's described in Halliwell's Film Guide as a "satirical farce which...finds corruption in high, low and middle places". 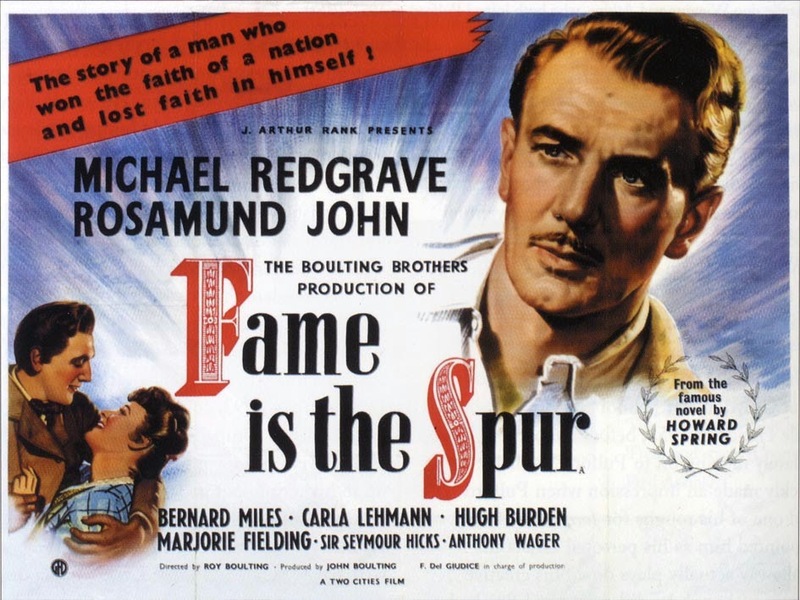 Unusually for the time, it is a sequel to Private's Progress and features not only the same actors - with one very important addition - but in the same roles, so Carmichael as Stanley Windrush, Attenborough as Cox, Dennis Price as Tracepursel, Terry-Thomas as Major Hitchcock and even Miles Malleson as Stanley's father all return. Set in the early 1950s, with Windrush looking for a job in industry, the early scenes show him struggling to come to terms with the opportunities offered by companies such as Detto, Num-Yum and the British Corset Company. However, they want him even less than he wants to go into industry, so it seems only natural when Cox and Tracepurcel re-enter the scene, and offer Stanley a job in the latter's factory - but as a worker. This is all part of a complicated plan related to foreign contracts, wtih Cox and Tracepurcel looking to make a dishonest bob or two as usual, but the comedy really starts when Windrush starts at the factory, just as Major Hitchcock employs a time-and-motion man, Waters (John Le Mesurier again) to spy on the workers. The beauty of the narrative is that Stanley, the only character in the film who is not looking after number one - the whole 'I'm all right Jack' ethos 'celebrated' in the film - is the only one at the end who loses out; a very modern, jaundiced view. "I'm only just now beginning to catch on....I must have been dead stupid. I've swallowed everything they've given me to swallow, everything! All the phoney patriotic claptrap of the employers, all the bilge I've heard talked about the workers' rights, until my head's reeling with the stink of it all. The trouble is, everybody's got so used to the smell they can no longer notice it." The tag line says that Heavens Above! takes off where I'm all right Jack left off, but. I suppose inevitably, it is something of a disappointment. The Brothers made a couple of other films inbetween, including Suspect, which I've not seen, but Heavens Above! was clearly a return to the satire fold, this time looking at organised religion. After his towering performance as Fred Kite, they were presumably relying on Sellers again in the central role of the Reverend John Smallwood, but there is not much room for maneouvere in this rather self-righteous, humourless character. As wtih most of the Boulting Brothers' films, we are treated to an introductory montage wtih voice over, this time on the town of Orbiston Parva and its main employer, the Tranquilax factory, but this rather slows things down and the film is already overlong for a comedy, at nearly two hours. The old standard plot device of a 'clerical error' means that the Rev John Arthur Smallwood (Sellers), a gullible and naive vicar who works in a prison (where the prisoners run rings round him) is given a new parish in Orbiston Parva on the recommendation of the tradtionalist Archdeacon Aspinall (Cecil Parker) instead of the Rev John Smallwood (Ian Carmichael). He immediately gets the backs up of all the locals, including the great and the good, firstly by criticising the town's population for their faithlessness and secondly by appointing Matthew (Brock Peters, fresh from his role in The L-Shaped Room) as the new church warden over Major Fowler (William Hartnell). Whilst he is making friends (sort of) in low places, he is also causing problems for those in high places, namely the shareholders and executive board of Tranquilax, as he manages to influence Lady Despard, whose family have dominated the town for centuries, to cast aside her worldy goods in order to better reach the Kingdom of Heaven. As this means selling all her shares in Tranquilax, this causes panic on the stock market and of course the shares plummet, much to the chagrin of her son Sir Geoffrey (Mark Eden) who runs the company now. As with the earlier films, especailly I'm all right Jack, events build up to a climax, but somehow the outcomes seem sad rather than funny, and it actually doesn't make imagination to realise that this could have been a straight drama rather than a comedy, and despite its length one gets the sense that they weren't sure how to end the film, with the ending they settle for coming across as notably limp and weak. After this the Boulting Brothers moved on to other areas, with fresher faces - one such film I've only just seen is Rotten to the Core (1965), with Anton Rodgers and Charlotte Rampling, which I hope to write about soon, but there's also The Family Way wtih the first pairing of Hayley Mills and Hywel Bennett before the shock-thriller Twisted Nerve with the same couple, written about on the 'Unsung films' section of this website. Whilst many of these comedies may be now half-forgotten, Private's Progress and I'm all right Jack still have much to say about society - as well as being very, very funny.